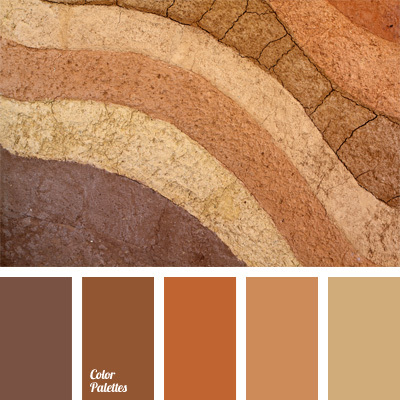 Warm, radiant range of colors. 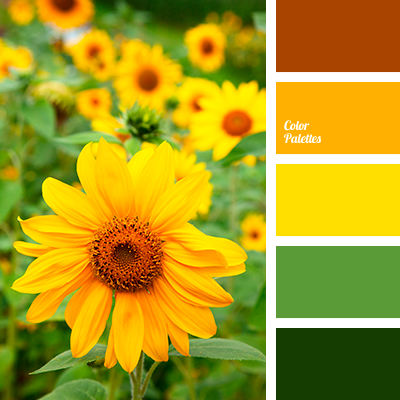 Shades of orange and yellow form a very natural, natural harmony. 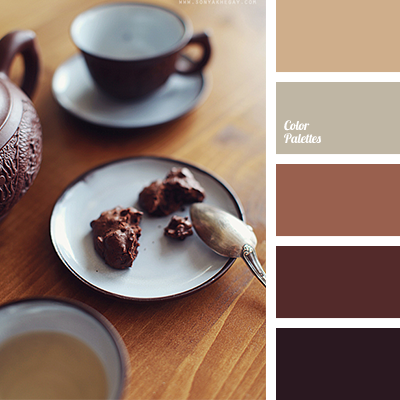 The most appropriate palette for design of the room, which overlooks the north side. It will be joyful and warm in any weather. 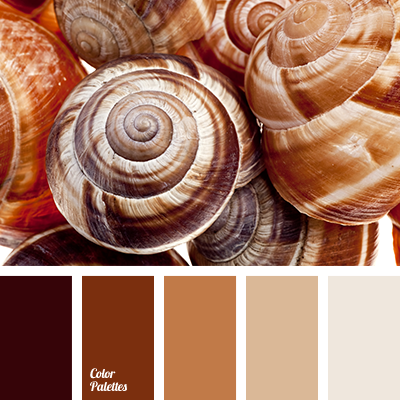 Also, these colors perfectly suited to create a summer wardrobe and a red-haired lady with tsvetotip “Autumn”. 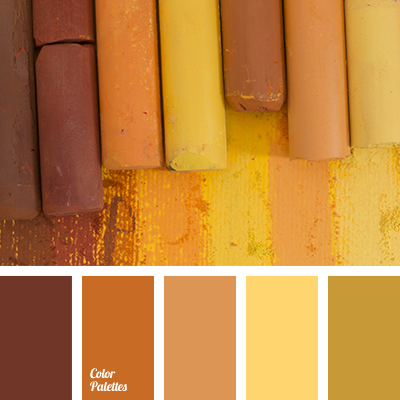 bright yellow, chocolate color, color bath, dark brown, gray-yellow, Orange Color Palettes, shades of brown, shades of orange, the selection of colors for home, warm brown, Yellow Color Palettes.